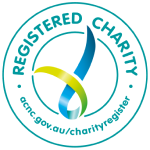 Diabetes Victoria holds a Deductible Gift Recipient (DGR) status with the Australian Tax Office. Donations of $2 or more are tax deductible. Diabetes Victoria is pleased to advise that a total of 84 cents from every dollar donated directly funds much needed research, programs and services – for the benefit of all Victorians affected by, or at risk of, diabetes. This is well above the industry benchmark. More information is available at Consumer Affairs Victoria’s website here.